Is Planet X the most important story of the century? Researcher and investigative reporter David Meade believes so. We’ll discuss why he feels that 2017 is the year that the elusive planet will arrive and what that means for human civilization. Also, what’s Facebook doing reading our minds and some even wilder stories. Planet X has long been theorized about, but yet to be discovered, depending on who you ask. David has seen it with a telescope and says it is 47 miles across. He calls its arrival around October 5th an imminent danger and plans to relocate himself to higher ground. We discussed the effects that a pole shift would have including a debris cloud pelting the earth with asteroids and meteorites, an electromagnetic pulse, nuclear radiation, title waves, hurricane force winds, earthquakes and more. Meade studied astronomy at the University of Louisville. He has worked both for the federal government and in private industry in addition to forensic investigations. 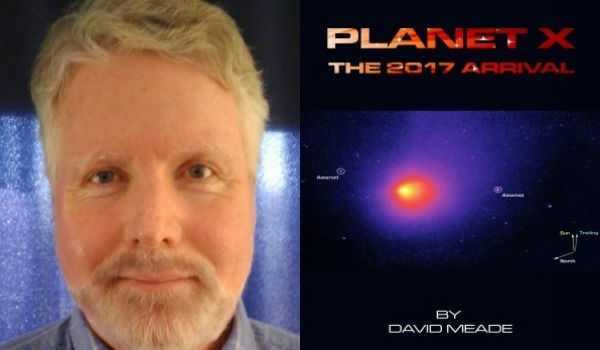 Meade is author of “Planet X – The 2017 Arrival“. We welcomed a new voice to Parabnormal News… John Jeter. Among his reports is more mysterious planet talk, the latest asteroid buzz, pilots trying to communicate with a UFO, and perhaps the strangest story of the night.